Allies of Jeremy Corbyn have said he will not resign despite facing a mass walkout from his shadow cabinet and a vote of confidence in his leadership. Shadow chancellor John McDonnell said the Labour leader was "not going anywhere" and accused his opponents of trying to "subvert democracy". Mr Corbyn would stand in any election if a challenger came forward, he said. It comes as MPs are set to hold a vote on Mr Corbyn's leadership on Tuesday - although the result is not binding. After another day of drama and further resignations from the shadow cabinet, Mr Corbyn and his critics in the parliamentary Labour party are locked in a stand-off over his future. Shadow cabinet: Who’s in, who’s out? Mr Corbyn faced calls to resign at a meeting in the House of Commons after more than 20 members of his shadow cabinet and a similar number of junior ministers walked out, questioning his performance during the EU referendum and ability to lead the party. But Mr Corbyn hit back, telling grassroots supporters from the Momentum campaign group in a rally outside Parliament to stand up for the causes they believed in - including social justice, economic equality and human rights. "Don't let the media divide us, don't let those people who wish us ill divide us," he said. "Stay together, strong and united, for the kind of world we want to live in." Speaking at the same event, shadow chancellor John McDonnell accused a "handful of MPs" of trying to "subvert" the party and challenged them to put up or shut up. "Let we make it absolutely clear. Jeremy Corbyn is not resigning," he said. "We are not going anywhere... If there is another leadership election, Jeremy Corbyn will be standing again." "The reason for this is that this is not about one individual. This is about the democracy of the (Labour) movement." The BBC's political correspondent Tom Bateman said it was an "extraordinary scene" with Mr Corbyn, who was elected in September in a landslide victory, coming straight from the "bruising" meeting with MPs to the highly-charged rally of grassroots supporters. 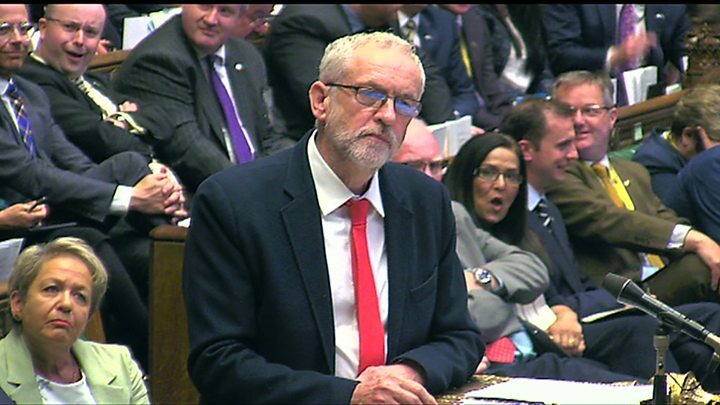 Earlier in Parliament - responding to a statement from David Cameron on the EU referendum - Mr Corbyn said the "country will thank neither the benches in front of me nor those behind me (where Labour MPs sit) for indulging in internal factional manoeuvring at this time". Shadow business secretary Angela Eagle, Maria Eagle (culture) Lisa Nandy (energy) and Owen Smith (work and pensions) are among the latest members of the front bench to resign. In the past 36 hours, 23 out of 31 shadow cabinet members have quit. Earlier, his deputy Tom Watson told him he had "no authority" among MPs and faced the prospect of a leadership challenge. BBC political editor Laura Kuenssberg said Mr Watson did not tell Mr Corbyn directly to quit as leader, but warned him that he faced a leadership challenge - and that it was up to him to decide whether he should stay or go. 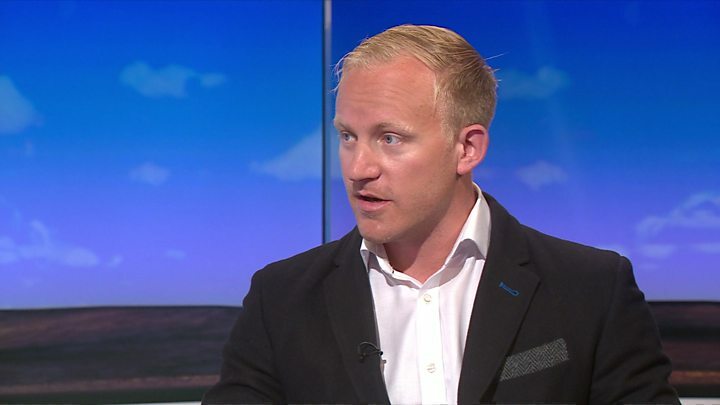 Speaking after the meeting - which came amid an on-going revolt in the party over Mr Corbyn's leadership - a Labour source said Mr Corbyn was told by his deputy that "it looks like we are moving towards a leadership election". According to the source, Mr Watson said Mr Corbyn would have to decide whether he wanted to endure a "bruising" internal battle before the prospect of a "very tough general election". The talks between the two men were described as "civil" by a spokesman for the leader, but a senior Labour source said Mr Corbyn was left in no doubt he had lost the support of the Parliamentary Labour Party. The source said the final decision on Mr Corbyn's future was a matter for him. Several Labour MPs have cited the possibility of a general election in the next six months - following on from the election of a new Conservative leader - as the reason why Mr Corbyn must now consider his position. Former housing minister John Healey, one of those to resign, said he had told Mr Corbyn he must seek a "new mandate" in these circumstances but the Labour leader "had failed to take the initiative and show that leadership". 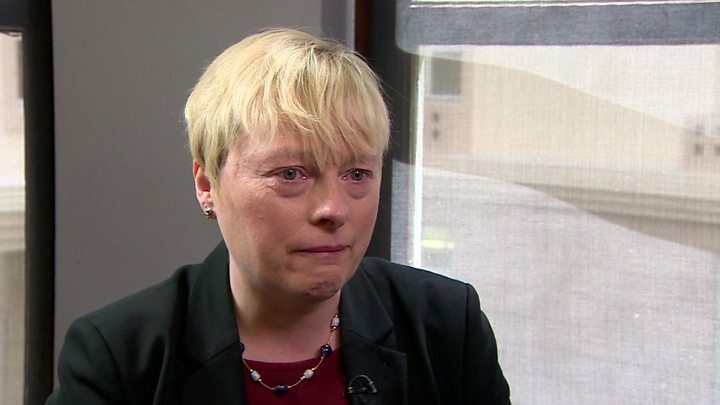 And Angela Eagle rejected claims of an organised coup, saying it was a "personal decision". Media captionSam Tarry questions why some Labour spokesman are standing down from office. "I think it's in the best interest of the Labour Party that Jeremy examines his conscience," she told BB Radio 4's World at One. "That he leaves with dignity and know that he has set the party on a different path that will lead us to a brighter future but that he is not the person to take us there." Mr Corbyn has rejected calls from many of his MPs to resign, despite a fresh wave of resignations by shadow cabinet members and shadow ministers. And on Monday morning he announced a reshaped shadow cabinet to replace those that had walked out. Shadow cabinet ministers to walk out on Monday also included Luciana Berger (mental health), Nia Griffith (Wales) and Kate Green (equalities). A slew of junior spokesmen and women, including former director of public prosecutions Keir Starmer, have also left their positions. It comes after 12 members of the shadow cabinet quit on Sunday, including shadow health secretary Heidi Alexander, shadow education secretary Lucy Powell and shadow Commons leader Chris Bryant. 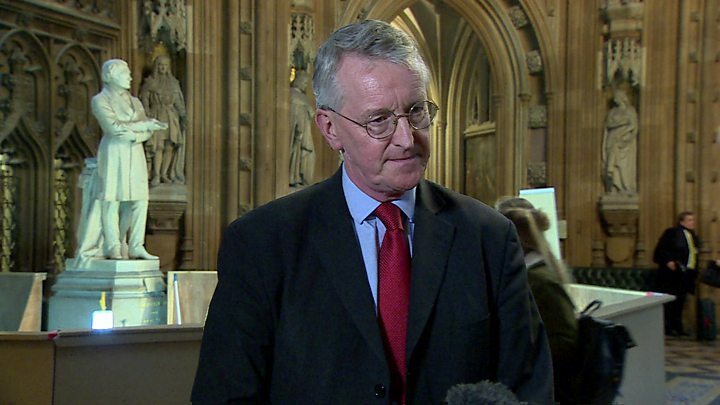 The walkouts - in a bid to oust Mr Corbyn - came after the sacking at the weekend of shadow foreign secretary Hilary Benn, who told Mr Corbyn he had lost confidence in his leadership. But Momentum, the campaign group that grew out of Mr Corbyn's successful leadership bid, has said 4,000 people attended a rally outside Parliament later to voice their support for the Labour leader. And Mr Corbyn has also been backed by the Unite, GMB and Unison trade unions.